Peter Volpe is associate professor of music in voice at the Indiana University Jacobs School of Music. Praised for his “stentorian and robust bass” by The New York Times, American bass Volpe continually receives critical and popular acclaim across four continents for his powerful command and rich texture of his timbre. He has performed at leading opera houses, including the Metropolitan Opera, Washington National Opera, Lyric Opera of Chicago, and San Francisco Opera, among many others. Volpe has performed with some of the most celebrated conductors of his time, including James Levine, Seiji Ozawa, Valery Gergiev, Sir John Pritchard, Maurizio Arena, Marco Armilliato, Marcello Viotti, Jacques Lacombe, Jonathan Darlington, Semyon Bychkov, Joseph Rescigno, Vincent La Selva, Richard Buckley, Leon Botstein, and Richard Hickox, among others. 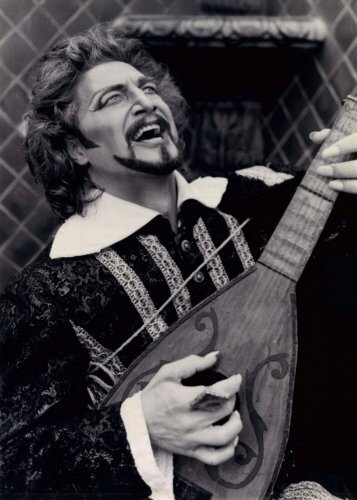 Notable roles for Volpe include the title role in Don Giovanni, King Philip II in Don Carlo, Méphistophélès in Faust, Raimondo in Lucia di Lammermoor, Sparafucile in Rigoletto, Daland in Der fliegende Holländer, Judge Turpin in Sweeney Todd, Ramfis in Aïda, Frère Laurent in Roméo et Juliette, Timur in Turandot, Ferrando in Il trovatore, and Basilio in The Barber of Seville. Soprano, Cynthia Lawrence is hailed as one of America’s most exciting singing actresses. She has performed regularly at leading opera companies around the world, including the Metropolitan Opera; Royal Opera House; the Guangzhou Opera House; Royal Albert Hall, London; the Lyric Opera of Chicago; Deutsche Staatsoper, Berlin; and New York City Opera, among many others. She has brought her career of stage experience to opera directing, and her recently acclaimed director credits include Barber of Seville and Suor Angelica. She appeared over 70 times in concert with Luciano Pavarotti; touring cities and countries such as Doha, Qatar; Italy; Chile; Venezuela, Argentina; Germany; Norway; Japan; China; Malaysia; England; Canada; South Africa, and throughout the United States. Her roles include her praised Tosca; Amelia in Un Ballo in Maschera; Roxanne in Cyrano de Bergerac; Dolly in Sly; her celebrated Cio-Cio-San in Madama Butterfly; Rosalinda in Die Fledermaus; Lavinia, in Mourning Becomes Electra; Elettra in Idomeneo; Vitellia in La Clemenza di Tito; Mimì and Musetta in La Boheme; Micaela and Carmen in Carmen; The First Lady and Pamina, in Die Zauberflöte; Fiordiligi in Cosí fan Tutte; Lady Macbeth in Verdi’s Macbeth; Die Frau in Schoenberg’s Von Heute auf Morgen; Countess in Le Nozze di Figaro; Liú in Turandot; Marguerite in Faust; Countess Olga in Fedora; The Italian Singer in Strauss’s Capriccio. She is currently Endowed Chair of Voice at the University of Kentucky. She maintains a private studio and is a frequent judge for the Metropolitan Opera National Council Auditions and enjoys conducting Master Classes for singers, performers and colleges. Italian born Marco Nisticò’s impressive combination of beautiful tone, exquisite artistry, and superior stagecraft has delighted audiences throughout North America, South America, and Europe. Praised as a performer of “gravitas, unforced eloquence, and refined vocalism” by the Classical Review, Marco Nisticò has become a widely sought-after singing actor for both comedic and dramatic roles. Last season, he sang Tonio in Pagliacci with Opera Memphis, Amonasro in Aïda with Opera Colorado, and returned again to Sarasota Opera in the same role in addition to appearing with Florida Grand Opera as Malatesta in Don Pasquale. His 2016-2017 season included Dr. Bartolo in Il barbiere di Siviglia with Opera Memphis, the title character in Don Pasquale and Manfredo in L’amore di tre re with Sarasota Opera, and El Tiempo in Los Elementos with New York City Opera. The 2017-2018 season and beyond includes Germont in La Traviata with Sarasota Opera, Ping in Turandot with San Diego Opera, Ford in Falstaff with Opera Colorado, and an appearance with The Dallas Opera. Recent highlights include his return to the roster of the Metropolitan Opera for the premiere of Nico Muhly’s Two Boys, Dulcamara in L’elisir d’amore and Dancaïro in Carmen with Teatro dell’ Opera in Rome, Figaro in Il barbiere di Siviglia with Sarasota Opera, Montfort in Verdi’s Les vêpres siciliennes in a return to the Caramoor Festival, his return to Sarasota Opera to sing the title role in Rigoletto and Sharpless in Madama Butterfly and to Opera New Jersey to sing Di Luna in Il trovatore; returning to the roster of the Metropolitan Opera for Carmen and La traviata; Dulcamara in L’elisir d’amore in a return to New York City Opera, Germont in La traviata with Opera de Puerto Rico, Figaro in Il barbiere di Siviglia with Opera New Jersey, and appearing as a featured soloist in the Bel Canto Gala at the Martin-Lipscomb Performing Arts Center. Recent European engagements include Dulcamara with Landestheater Bregenz and Guglielmo in Così fan tutte with Teatro Regio Torino. 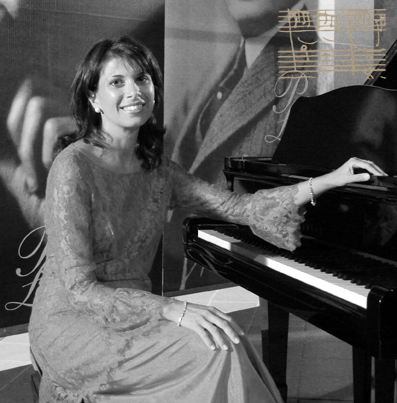 ANTONELLA GOZZOLI is an Italian soprano and voice teacher who has performed extensively across Italy. She was born in Milan and attended the Conservatory of Music of Florence for post graduate studies where she received a degree in vocal music and a degree in vocal chamber music. Following the Conservatory studies she studied with Shirley Verrett and Victoria de Los Angeles at the Accademia Chigiana. She made her opera debut in Florence as “Didone” in Purcell’s Dido and Aeneas and as “Text” in Monteverdi’s Il Combattimento di Tancredi e Clorinda. Other opera roles soon followed including a string of Verdi and Puccini masterpieces – Il Trovatore, La Traviata, Un ballo in Maschera, Tosca, La fanciulla del West, Manon Lescaut – and the role of Donna Anna in Mozart’s Don Giovanni. She has toured extensively, with several international companies and ensembles, as an oratorio soloist in Pergolesi’s Stabat Mater, Scarlatti’s Stabat Mater, Vivaldi’s Gloria and Dixit Dominus, Bach’s Magnificat, Mozart’s Requiem, Coronation Mass and Vesperes Solemmnes de Confessore, Haendel’s Messiah. Marcello Cormio is a native Italian conductor and pianist. South Florida Classical praised maestro Cormio as “an assured hand in the pit, conducting the score with vitality while leaving the singers room to breathe in their solos” for Cosi fan tutte at Sarasota Opera’s 2016 season. Mr. Cormio’s debut at the 2014 Sarasota Opera Festival in Il barbiere di Siviglia was praised for a “lovely, light touch with the music.” He has led productions of Elisir d’amore, Cosí fan tutte and Robert Nelson’s A Room with a View at Michigan State University, Street Scene at West Virginia University, and Le nozze di Figaro at the 2015 Sarasota Opera Festival. Among his symphonic engagements, he has served as cover conductor for the Pittsburgh Symphony Orchestra. Mr. Cormio was music director and conductor of opera scenes productions at the Manhattan School of Music in New York, and at the Indiana University School of Music. In 2013 he was cover and assistant conductor for a new production of Turandot at the Opéra National de Lorraine in Nancy, France. Mr. Cormio has led productions of Die Zauberflöte at the Bay View Music Festival, and of Gounod’s Romèo et Juliette and The Phantom of the Opera with the University of Kentucky Opera Theatre. 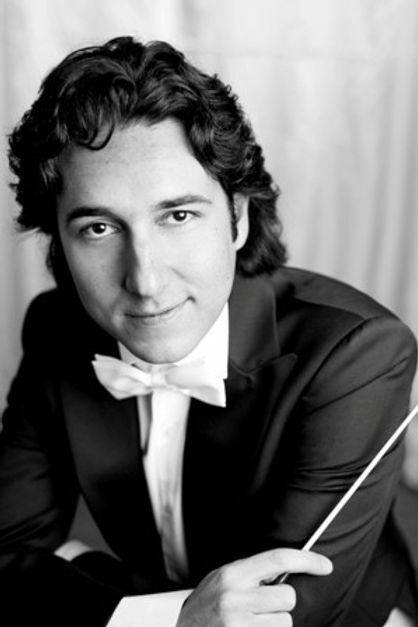 He has appeared with orchestras around the United States and Europe, including the San Antonio Symphony, the Orchestra della Società dei Concerti di Bari, the Bacau Symphony, and the Orchestra Sinfonica del Conservatorio di Bari. Mr. Cormio has been active as an opera coach and educator throughout his career. He is regularly invited as coach and conductor for opera workshops at prestigious academic institutions, and in summer music festivals, such as Opera do Recife (Brazil) and Prague Summer Nights (Czech Republic). In the year 2014-15 he was on faculty at the West Virginia University as Head of the Opera Program. He has recently been appointed music director of the University of Kentucky Philharmonia Orchestra and of the Central Kentucky Youth Orchestras. Mr. Cormio holds graduate degrees in piano, composition, conducting, and musicology from Italian conservatories and universities, as well as a Master of Music degree from Indiana University and a Doctor of Musical Arts degree from the University of Kentucky. Dr. Puccinelli has appeared in song and chamber music recitals at venues from Los Angeles to New York City, and throughout Europe. A frequent presenter at a number of national and international conferences and congresses, her broad professional experience embraces such diverse performance events as the Los Angeles Philharmonic’s Chamber Concert Series, Placido Domingo’s Operalia Competition, the International Trumpet Guild Conference, the National Opera Association Competition and NATS national conventions. She has appeared in recital with members of the New York Philharmonic, the Chicago Symphony Orchestra, the Metropolitan Opera Orchestra, the Los Angeles Philharmonic and the Dallas Symphony Orchestra. She was twice invited to serve as rehearsal pianist for Seiji Ozawa at the Tanglewood Music Festival. Also an experienced organist and harpsichordist, Dr. Puccinelli enjoys a wide variety of repertoire in her collaborations, from Baroque to twenty-first century literature. Raphael Fusco is an award-winning pianist, harpsichordist, and organist who specializes in early music, contemporary music and improvisation on period as well as modern instruments. He has appeared as soloist and collaborator with world class artists and ensembles, including Branford Marsalis, Daniel Rowland, American Ballet Theatre, Martha Graham Dance Company, Chamber Orchestra of Philadelphia, Gotham Chamber Opera, Empire Chamber Orchestra and members of the New York Philharmonic and Metropolitan Orchestras. He has performed in renowned venues throughout the US and Europe such as Carnegie Hall, Metropolitan Museum of Art, Le Poisson Rouge, The Kimmel Center, Detroit Institute of Arts, Tuscia Opera Festival (IT), Teatro degli Astrusi (IT), and St. Bavo Church (NL). As a composer, he has been praised as “one of the most outstanding of his generation.” He has collaborated with Brandford Marsalis, and his works have been heard throughout the US and Europe, including Carnegie Hall (NY), The Kimmel Center (PA), Casa Milà (SP), Teatro degli Astrusi (IT), St. Bavo Church (NL), Eglise de Saint Séverin (FR) and many others. Commissions and collaborations include Branford Marsalis, Barbara Dever, Chamber Orchestra of Philadelphia, Orchestra of St. Luke’s, Cecilia Chorus of New York, I Cantori New York, Los Percussiones de Barcelona and members of the New York Philharmonic and Metropolitan Opera Orchestras. He has received awards from NATS Art Song Competition, American Prize for Music, Aliénor International Harpsichord Competition, Padre Martini Fugue Award, Bohuslav Martinu Composition Award, as well as grants from the National Italian American Federation and Exploring the Metropolis. ​Mr. Fusco has served as Composer-in-Residence of Empire Chamber Orchestra, Bachanalia Festival Orchestra, and Turtle Bay Music School. He has taught keyboard, composition, music history, and theory at Seton Hall University, Mannes College of Music, and Mahanaim College. 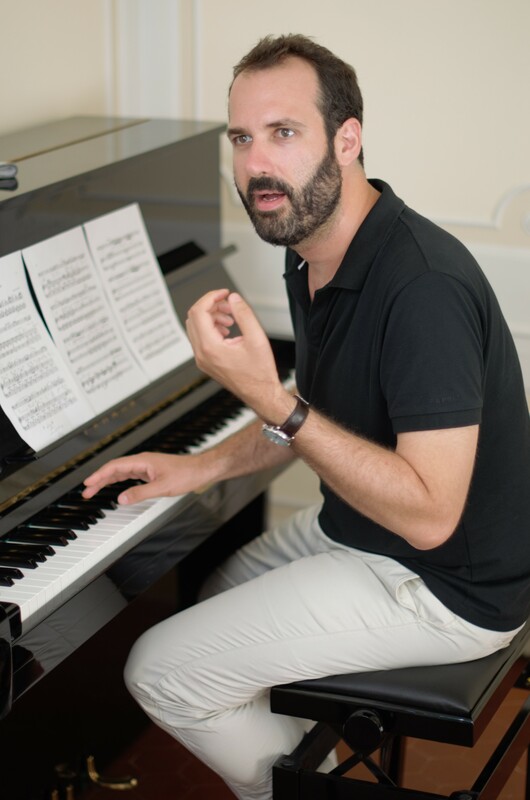 He holds a Master’s degree from Mannes College of Music and completed studies in piano, composition, and conducting at the Conservatorio G. Verdi di Torino, Vienna Konservatorium, and Paris Schola Cantorum. He is currently principal organist at Convent Avenue Baptist Church in New York City. 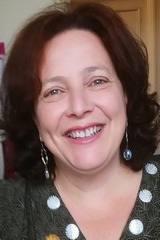 Daniela Bonaccorsi is the Director of Studies at Lucca Italian School. She studied Foreign Languages and Literature at the University of Pisa and has attended training courses for teachers in Italy and abroad. She always finds the right place for any student. She enjoys traveling, walking and loves cinema and theater. See other language faculty here.